COLDWATER LAKE: Prime location on IYOPAWA ISLAND with this recently updated property. 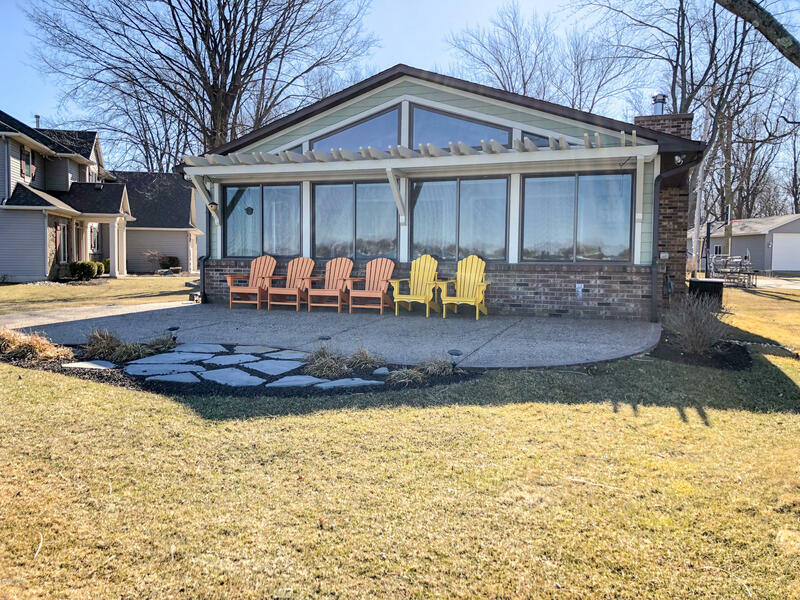 Upgrades include Anderson windows & storm doors, hardy board siding, gutters & gutter guards, landscaping, exposed aggregate patio, firepit, ceramic tile flooring, updated baths and modern kitchen with quartz counter tops and appliances. Nothing was spared in enhancements for this turnkey lake home. Picturesque fireplace in the open living area. Sunroom with panoramic views of the lake. Master bedroom with walk-in closet, bunkhouse bedroom with custom furniture. Purchase of this home includes furnishings (only a few items excluded at this price) and shares to the Iyopawa 9 hole golf course that is only steps way to add to your experience.